The month of December is here once again. Preparations are being taken by all quarters in order to celebrate 16th December, our Victory Day. But do we really understand the value of our victory, our independence? Have we been able to honor the sacrifice of the martyrs who dreamt of a beautiful Bangladesh, where all men would be treated as equals? Where no one would starve to death? Where all men, regardless of caste, creed of social status, would receive adequate protection from any danger or discomfort? Each year, occasions like our Independence Day and Victory Day are celebrated with grandeur. Long speeches are delivered, major cities are decorated, food is distributed among poor people and integral individuals in our struggle for freedom are remembered with all due respect. Of course, exactly which individuals are remembered depends on who is organizing the programs, but today is not the time for that discussion. Just like influential people and organizations arrange for special programs, newspapers and magazines are also infested with articles, stories and poems about our glorious achievement in 1971. People write about what a great achievement our independence is, how so very many people gave their lives that we may have a country to call our own. What most of them do not mention is how we have wronged their sacrifice, how they would have suffered if they saw what we have done to the country they died for. In East Pakistan, we were not treated as equals to our West Pakistani counterparts. We were always the underdogs, and all the big prizes always went to non-Bengalis. Non- Muslims in particular had to face the brunt of the unjust attitude of our mighty rulers. We suffered attacks on our language, among other things, and then at one point we could stand it no longer. When young men of our country picked up weapons and went to war in 1971, they had the dream of country where such injustice would not be tolerated. Has that country really been achieved? Even today, non-Muslims do not feel safe in Bangladesh. There have even been incidents in some remote parts of the country of people openly making statements about non-Muslims are not welcome in Bangladesh. To be honest, most people do not feel safe anymore in this golden land of ours. Murder rates have reached an all time high. 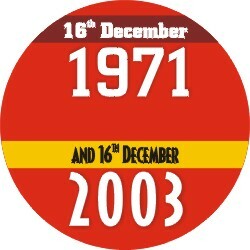 Other crimes are also more frequent than ever, except probably in the first few months following 16th December 1971. Back then, the country had just been liberated and nothing was brought under a system yet. What excuse do we have today, thirty two years later? The worst part of this ever increasing crime rate is that the people in charge are not willing to admit their failure. They will blame the opposition, some unknown foreign power and even the current situation of the world, but not admit that they have not done the best job they could. At times, they will not even admit that a problem exists. We have all seen the Home Minister denying the increase of crimes. We have also seen the Commerce Minister claim adamantly that the price of goods is not above normal limits. Yet the fact that crime is abundant and price hikes are getting more obvious by the day is as clear as daylight. This lack of transparency from the government itself encourages shady business to be conducted at every level of the state engine. The people who died for this country must have hoped that someday our country will be the best in the world in some aspect or the other. We have indeed achieved that status of being first in corruption, for the third year in a row. Some achievement to talk about! There was a time when ordinary people used to be scared of the military. This was understandable during the early years of Bangladesh. People were still not over the brutality of the Pakistan army. But today we have our own army. Young men enroll in this army to serve their country. They deserve our love and respect. Instead, most people view the army with some mistrust. Our army is one of the most feared establishments within our own country. Instead of being proud and grateful to the young soldier who goes through such hardship in order to prepare that he may serve is country, we have a very demeaning view of them. Who is to blame for this negative opinion about the Armed Forces? More importantly, are members of the Armed Forces really bothered about their image to the common man? Does their behavior when called to maintain law and order do anything to pacify the citizens? Another huge disappointment would be the police force. The police, as many often forget, were the first martyrs of our Liberation War. The Pakistan army started their attack from the Rajarbag Police Line. Yet today, they are considered the most corrupt people in a country that is considered the most corrupt in the world. Do not these policemen remember how those policemen were slaughtered on the night of 25th March, 1971? Does not that sacrifice mean anything to them? Could they not keep this profession hallowed by their memories? Everywhere one looks, examples of a dream gone wrong abound. I will not go to the depressing exercise of mentioning them all. We just have to understand that name calling and mud slinging will not take our country anywhere. We may be able to change the roles different individuals or groups played, but we will never be able to change the loss, the damage that we suffered in those nine months. Instead of debating over which leader did what for Bangladesh in 1971, we need to think of what we can do to build the nation that they dreamt of. It is high time that we made an effort to honor their sacrifice in the only way that matters by being worthy of it. Ever wished that you could be a race car driver? Ever wished that you could quench the need for speed in an environment especially built for doing so? Well, Speedway Karting Ltd. is here with the answers. 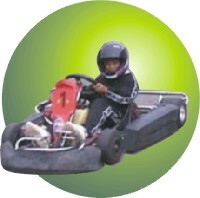 This firm has introduced the concept of GoKarting in Bangladesh. For the less informed, GoKarting is similar to Formula One racing but on a smaller scale. If you don't know what Formula One is, I suggest that you stay tuned to any sports channel and I am sure you will get your answers. Go-Karting is the first step towards achieving a career in Formula One Racing Championships. Michael Schumacher started his career with Karting where he was the junior champion of Germany in 1984 and the European champion in 1987 and from there onwards he started to gain recognition as a talented racing car driver. It wasn't long ago when the want for a career in Formula One was just a dream; a practical impossibility, but Speedway Karting Limited has turned this dream into reality and has proven that nothing is impossible. The man behind the idea of Karting in Bangladesh is Mahmud Hasan Khan, an MBA from United Kingdom. He witnessed many such races while studying there and hence got the idea of starting Karting in Bangladesh. The racetrack is situated in Ashulia, a few kilometres before Fantasy Kingdom. The reason for choosing a place on the outskirts of Dhaka City is because the location is the only available place closest to Dhaka City that is big enough to accommodate the race track, as pointed out by Ishtiaq Ahmed Chowdhury one of the directors of Speedway Karting Ltd. It was scheduled to open after Eid-ul-Fitr, somewhere in December but was formally opened in October. The reason behind it due to the fact that some areas of the tracks where needed to be properly tested and made sure that the track is safe and can be driven with optimum speed by the customers. Because of this premature opening, the firm was not able to put much emphasis on advertising, for which they have received a lot of criticism. A big investment such as this deserves large-scale advertising, and hopefully we will get to see that very soon. Recently, Pepsi have signed a contract with Speedway Karting Ltd and are now the official sponsors of the first Karting venture in Bangladesh. In the beginning, the entry fee was Tk. 50 and they offered only one package: a four-lap race costing about Tk. 400. During Ramadan, however, they changed the format and now entry fee is Tk. 20 and three packages are available. The first package is a two-lap race, which costs Tk. 150; the second package is a four-lap race, which costs Tk. 280 and the third package is a six-lap race, which costs Tk. 400. Morever, if you pay Tk. 6500 then you get a 100 lap-race with 15 extra laps free and with Tk. 12000 you get a 200 lap-race with 30 extra laps free. The cool thing about this is that it is not necessary that you will have to finish all your 100 laps or 200 laps in one day; you can do it in fragments on other days. Many people have complained about the prices, claiming that they are too high and should be reduced. The complaints come in greater numbers especially by people who have been to India and have raced in Karting circuits over there. The reason behind this, as cited out by Ishtiaq Ahmed, is because that all the go-karts along with their parts have been imported from the United Kingdom and they had to pay 90% tax when they got these vehicles into the country. The high tax was a result of the vehicles being treated as luxury items and not toys. Before starting the venture, a survey had been conducted to find out from where the go-karts should be bought and it was found. Go karting is what the professional Formula 1 drivers like Shcumacher and Hakkinnen use for training. In fact karts are used for teaching them in the first place. They are tiny and the centre of gravity is so close to the ground that there is very little risk of turning over during a fast turn. If this is your first experience, what are the things that you can expect? First of all, you will be sitting very close to the ground. It is a little unnerving to have your bottom whiz by so fast, so close to the ground. Be very careful not to move your elbow backwards too far, as you will be touching the hot engine. For this purpose they will provide you with elbow guards. You do not require any past driving experience. The karts are very simple in the sense that these have no gearing. You just press the accelerator and move on. 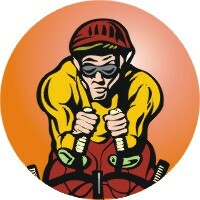 It is convenient because you need to concentrate on not hitting the multi-coloured barriers made of old tires. The bad thing here is that you do not have seat belts so on your first move do not push the kart too fast. Take one lap to get acquainted. You will find that the steering is very different form your slack Toyota power-assisted steering. Here you actually feel every single input as you literally hang on for dear life. The best way to take turns is to take them slow and gradually build up speed. The thing to watch out for is your braking and accelerating combination. If you take a turn too fast and suddenly let go of the accelerator, you will spin around. If you brake too hard you will spin. If you touch the wheel of another kart you will spin. The trick is to apply power the moment you feel that the rear wheels slide out. At the same time, you have to turn the wheels in the opposite direction of the slide. This is a lot of technical mumbo jumbo, which you will figure out once on the track. A lot of the action is your gut feeling. Anyone can drive fast, but finesse is for a select few. Pump the pedals gently and you will sail through each corner. As your skill improves while conversely decreasing your bank balance you can increase the power in turns and feel the kart power sliding. Trust me, nothing can give you a better adrenaline rush.